Come discover a comedy of epic proportions as Mr. Link recruits explorer Sir Lionel Frost and adventurer Adelina Fortnight to help him find his long-lost relatives. 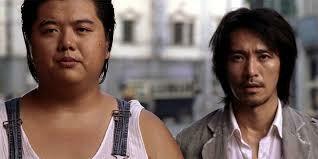 Join Pop Cinema on April 17th as they screen Kung Fu Hustle. Tickets are $4 and include a free regular sized popcorn! Starting Thursday, April 25th, help us Avenge The Fallen!